I blocked out parts of the image for obvious reasons. 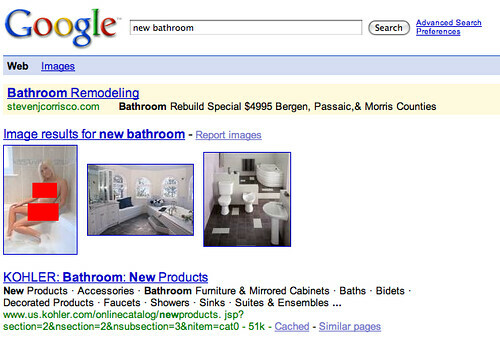 But this is an issue that I see prop up time and time again, since Google began adding images to search results. It is nice to see Google adding that method of reporting offensive images but it might be a bit too late now?